This month’s featured lifter is KEVIN CARTER. I started lifting in the late 70’s, high school powerlifting. After being hurt in a football accident, I switched to bodybuilding. there I won several local meets then I was hooked. 1983 I competed for Mr. West Coast and took 4th. I was not happy, so I trained hard for a year and came back to take 1st. Then I went back to powerlifting. Why, NO DIETING. Since then I now hold several New York State records. Kevin Carter: Being around good people, and the thrill of the competition. KC: My first competition was 1979 high school. KC: I have learned to listen to my body. many different training techniques. KC: I try to set new PR’s at each meet, Also to get back on the podium at nationals. KC: Bench has not been kind to me. KC: 5/3/1 has worked well for me, and now I am working with a person from the University of Buffalo and we are putting two training styles together. 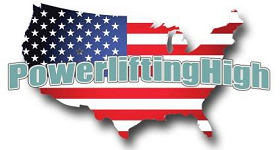 KC: I am with Northeast Powerlifting, we are just a few guys who love to lift and compete. I am the Technical Secretary for Northeast Iron Beast run by Jim Kipp. KC: I would say, stay clean, listen to your body, train with people you trust and enjoy the ride. KC: My favorite lifters are the ones that bring it to every meet. I have met so many great lifters in my time. And look forward to meeting many more.